Welcome to the Morrissey-solo Wiki. The aim is to organize and share information in the world of Morrissey and The Smiths that is unbiased, factually accurate, and up-to-date in the same collaborative spirit as Wikipedia. The wiki is powered by MediaWiki, the same software that powers Wikipedia. Have a bit of additional information, a correction, or an idea for a new entry? Your help is needed! All you need to start contributing is a Morrissey-solo account (if you don't have one already, register here). 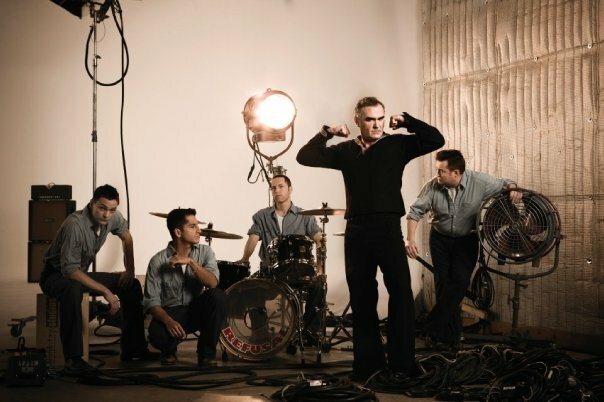 The Morrissey-solo Wiki was created in May 2012 following a suggestion by !Viva Hate!. The MuseWiki was a large influence on the initial setup, templates and conventions used. Special thanks also to !Viva Hate! for helping with the initial design of the wiki, population of the initial content and main page mastheads. Thanks to MozRecording and Skylarker for helping with the initial content of the live recordings / bootlegs. This page was last modified on 2 June 2018, at 17:41.